We now have our own Steam developer homepage! Please follow us to not miss out on any of our future releases and tell your friends about it. It ain’t over for Omensight yet (far from it actually) so I’ll be back soon! 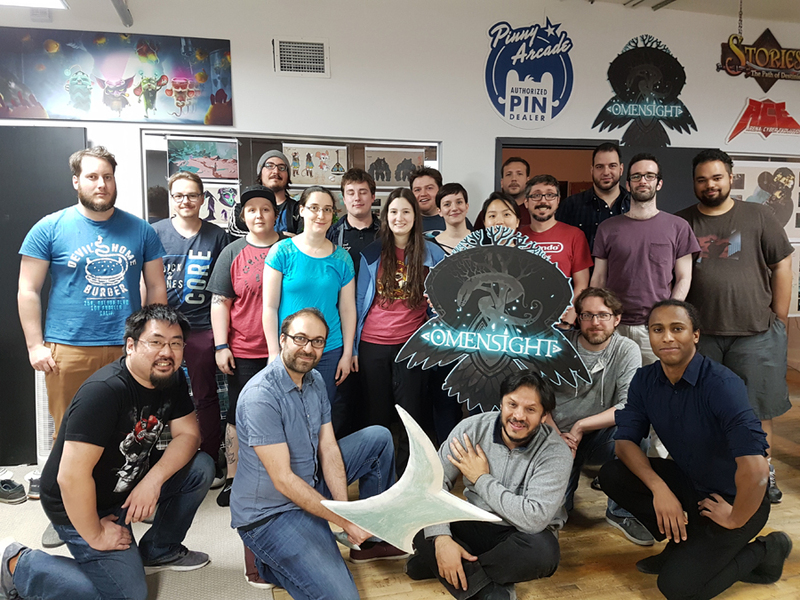 Thanks for playing Omensight! Update 1.02 Is Out! 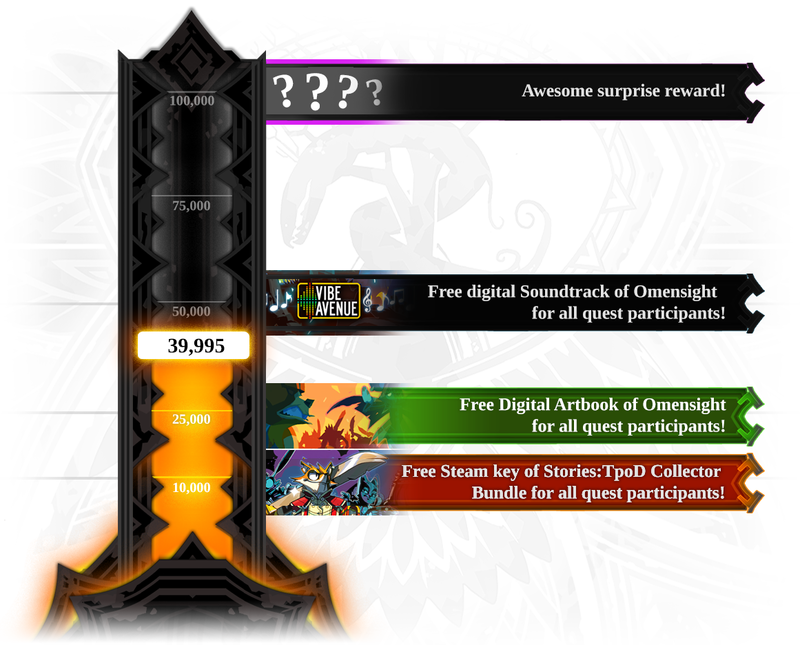 Also, Soundtrack and Wishlist Quest Updates! There are more updates on the way so keep posting in the discussion board. We'll address all the feedback that we can! Also, for those who bought the soundtrack before May 31st, the folder should have the .mp3 files now. And finally, the final rewards for the Wishlist Quest have been sent out via email to all those who filled up the follow-up survey. Again, if there are any issues, please contact info@spearheadgames.ca or direct message me (SHG_Phil) on our Discord server[discord.gg]. After 18 months of intense production, Omensight is finally here! We hope you’ll enjoy your time in Urralia. This world is now *your* playground to discover (and re-discover) and defeat enemies in creative ways with the powers of the Harbinger. Share with everyone all the cool moves you manage to pull off! 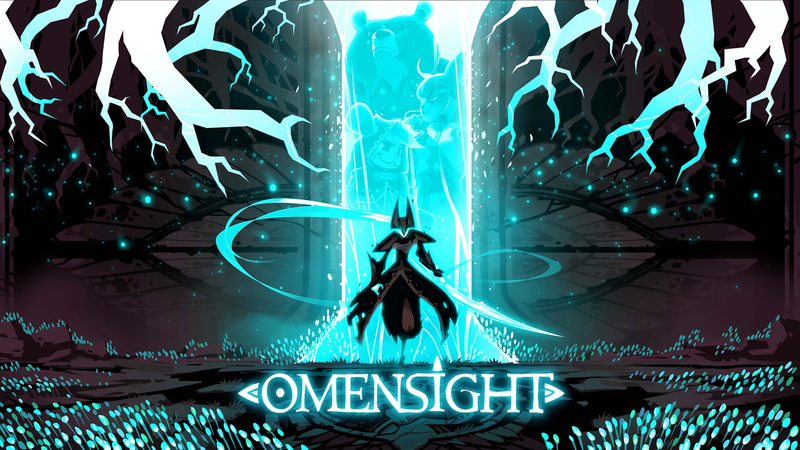 Omensight - One Week Until Launch and Wishlist Quest! It's hard to believe for us but Omensight is out in exactly one week, on May 15!! We are a small independent studio of 15 people and this has truly been a journey of sweat, blood and tears. Making a game is a a big challenge and we keep pushing ourselves to always be better and smarter. However, a bigger challenge is getting people to see, notice and buy the game we put so much effort into. With over 7,000 games released on Steam last year, it's really easy to get lost in the shuffle. The goal of this quest is to gather as many wishlist additions as possible for Omensight on Steam. Each time we reach a new threshold, we unlock a special reward, starting with a free Steam Collector Bundle of Stories: The Path of Destinies at 10,000 wishes (which includes the art book and soundtrack)! But that's not all! Everyone who participates also earns a ticket for a chance to win one of 100 Steam keys to Omensight! Please don't forget to mention this to all your family and friends. The more, the merrier! Prevent Doomsday. 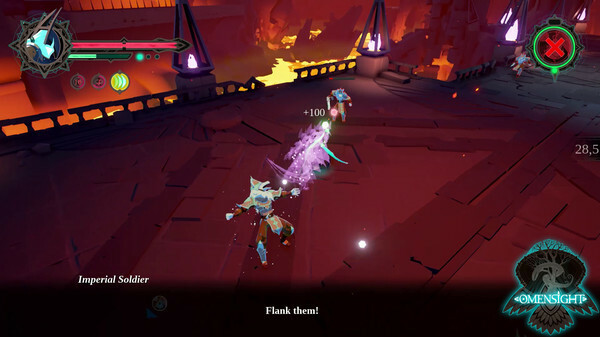 Omensight Hits Steam and Playstation 4 on May 15th! Mark your calendars, as the Harbinger is set to arrive to save the world of Urralia on May 15th! That’s less a month away! Our time-looping murder mystery action game promises to be everything you’ve enjoyed with Stories: The Path of Destinies and more: a deeper story, more intrigue, more combat mechanics, more enemy types, AI companions, boss fights, etc. 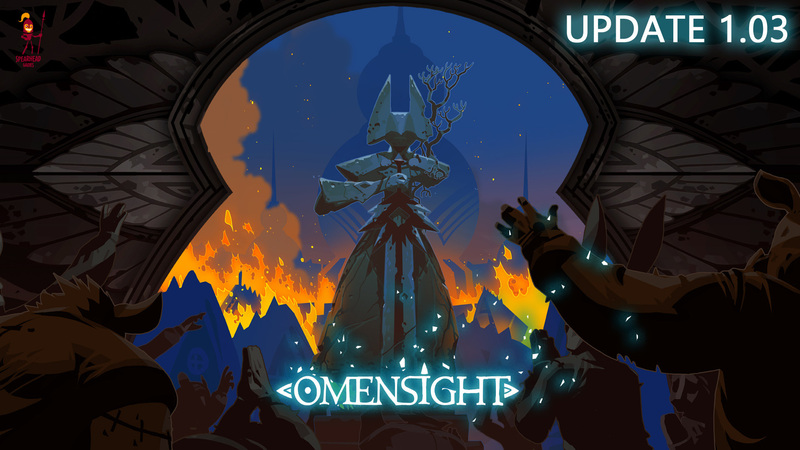 To help explain what Omensight is all about, here’s a commentated walkthrough video, narrated by one of our artists, Keisha Chauvin. We will be offering a 10% rebate during launch week. Also, like for Stories, you’ll be able to buy the artbook and soundtrack separately or as part of a bundle! 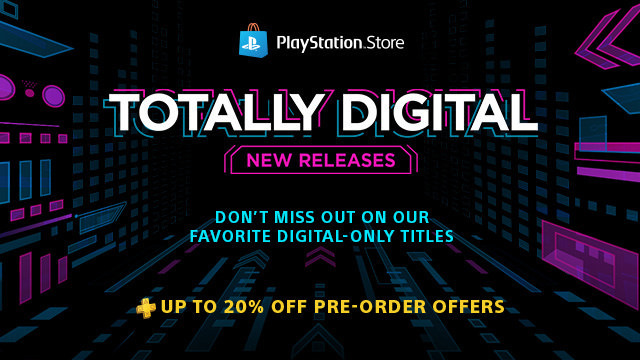 Now, for the Playstation 4 owners out there, you can now pre-order Omensight[store.playstation.com] and PS+ members get a 20% rebate. Our Discord server is live and awaiting your presence! Come talk to the kind folks at Spearhead Games and fellow fans of Tiny Brains, Stories: The Path of Destinies, and Omensight. 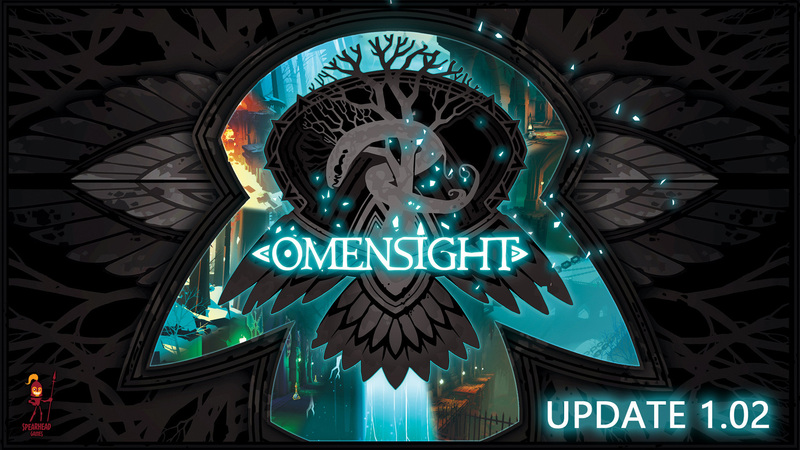 Please continue to support us and spread the word about Omensight by telling a friend, tweeting or sharing on Facebook, wishlisting the game -- every little bit helps. We’ve got a lot more exciting news coming, so stay tuned by following us on Facebook[www.facebook.com], Twitter or Discord[discord.gg]!